This is a great summer craft for the kids and nearly mess-free! 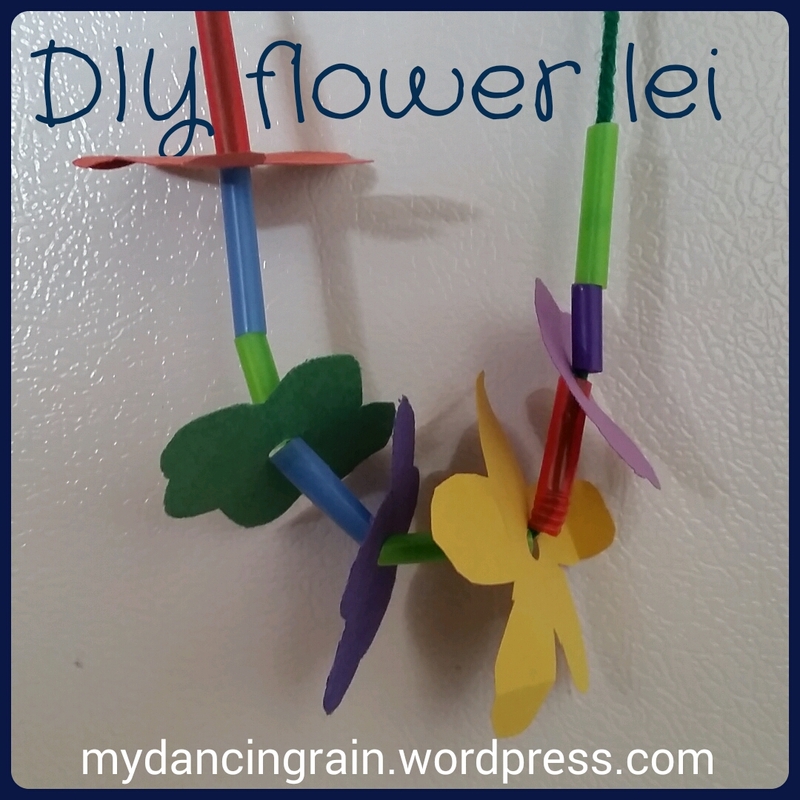 Would be a great kid-friendly activity for a summer luau, pool party or family BBQ. My daughter made this at her daycare for a luau-themed party. All you need are some colorful plastic straws cut into 1-inch pieces, green (or any color!) yarn cut to fit your child’s neck and colorful paper cut into flowers. 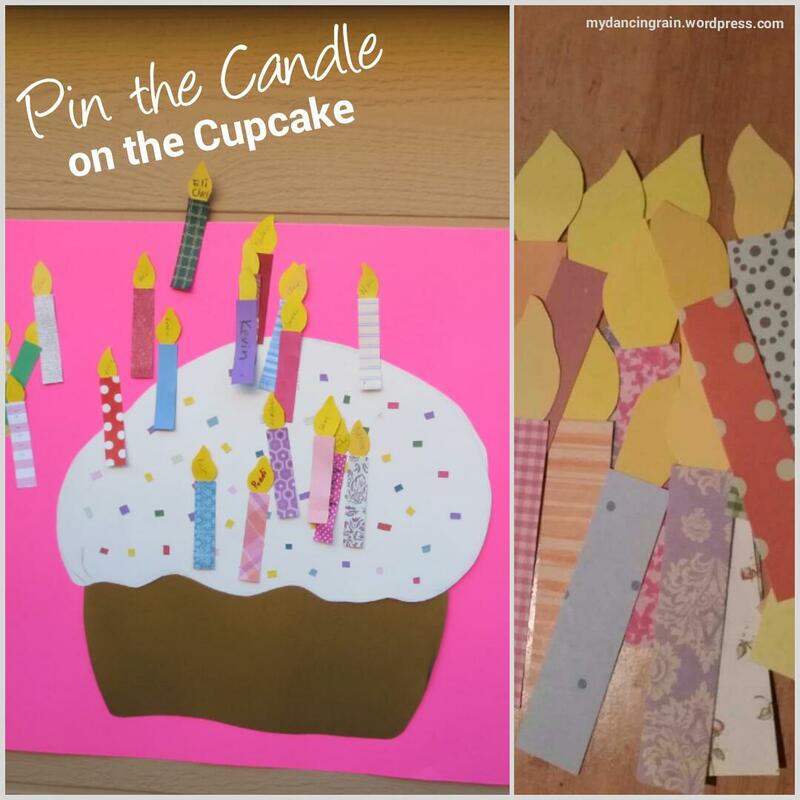 If your kids are able, they could do the cutting as part of the craft. 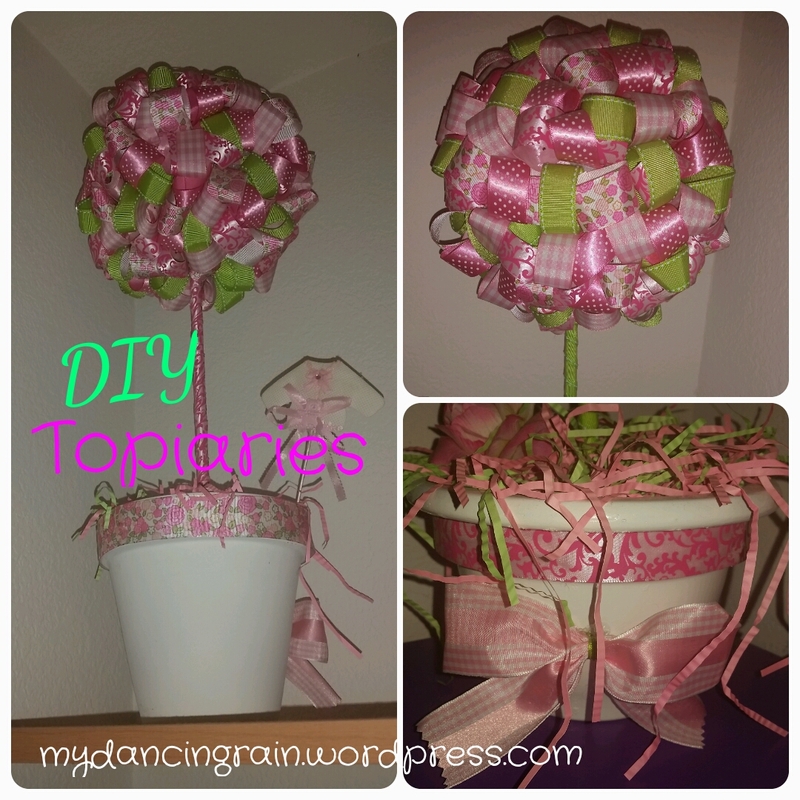 Decorate your home or office with this adorable topiary made of colorful ribbon. Also makes a great party centerpiece! The best part is you can reuse this idea for any season or party theme – just swap out the ribbon color to match what you need! Credit for these goes to my sister who made these topiaries for my baby shower. 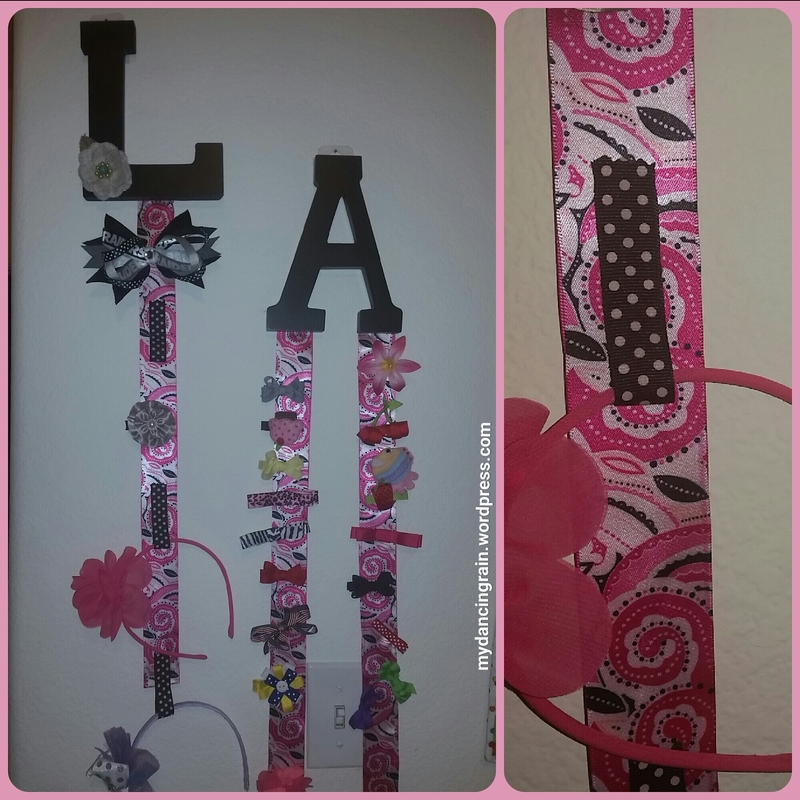 I loved them at the party and now use them to decorate my daughter’s room! 1. Paint the vase if you aren’t able to find one in the desired color. Let it dry. 2. Cut ribbon into 4 inch strips. 3. Fold ribbon strip in half and pin to the medium Styrofoam ball. Repeat until the ball is covered. 4. Insert one end of the dowel rod into the large Styrofoam ball and the other end into the small Styrofoam ball. 5. Place the small Styrofoam ball into the flower pot. 6. Decorate the pot with a strip of ribbon around the top and perhaps a bow. 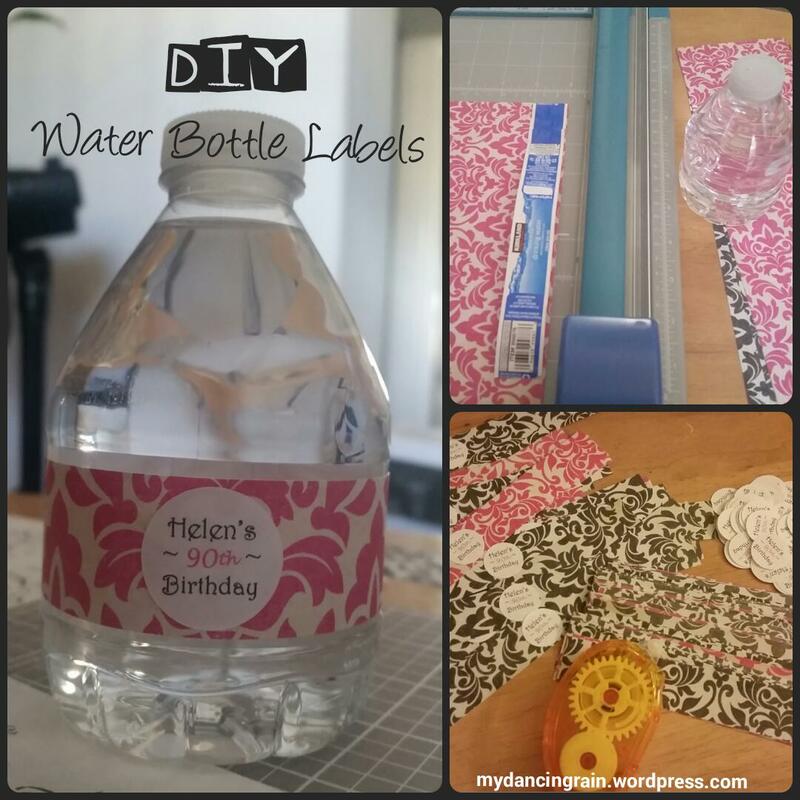 Use glue gun to secure ribbon to the flower pot. 8. Drop in the Easter grass or shredded paper to cover the inside of the pot. There you have it! Make as many as you need to create a festive look in your home, office or at your next party! 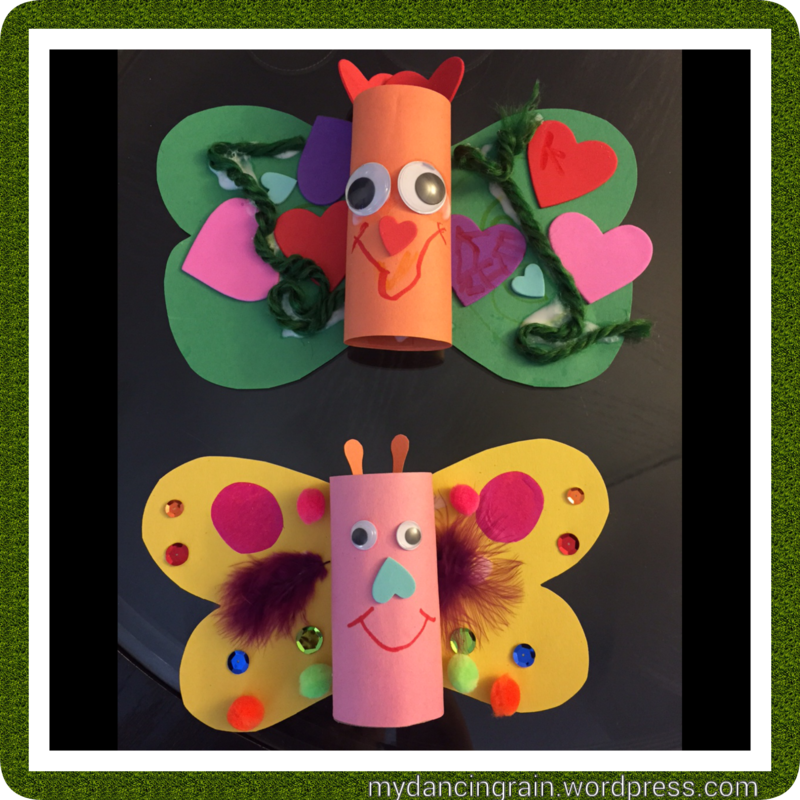 Celebrate spring with this easy butterfly craft! 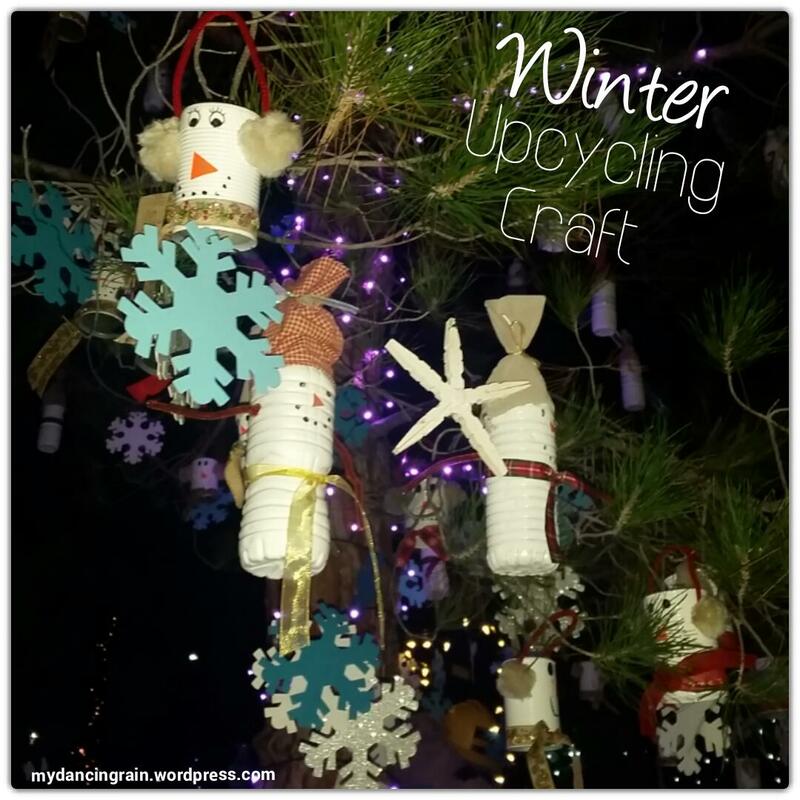 Let the kids be creative and make good use of all those crafting scraps you have been collecting. 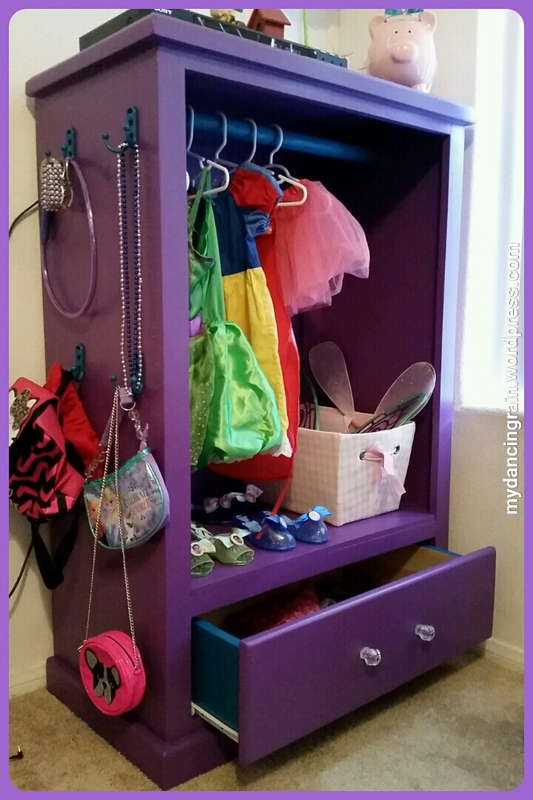 All it takes is a couple of toilet paper rolls, construction paper, markers and any other craft items you have on hand (googly eyes, pipe cleaners, sequins, rhinestones, cotton balls, etc.) — really anything goes! These cute little butterflies were made by my sister and my nephew! My daughter goes to the best daycare. Just picked her up today and she made a fun sparkler for their New Year’s celebration. It is so clever and seems simple to make, plus she won’t put it down, so I had to share it! Cut two long strips of different colored paper and fringe cut them. Cut a long strip of foil and fringe cut it also. Then twist the strips around a popsicle stick and tape to the stick. 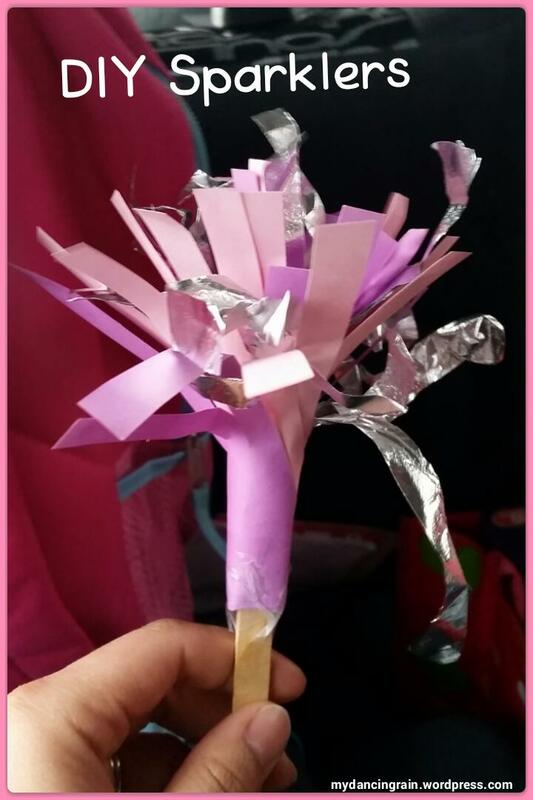 Spread out the paper to create a pretty little sparkler! Happy new year! I saw this idea floating on Pinterest this season, and so I was pleasantly surprised to see our local community light display organizers had made these cute snowmen for their winterscape light display. 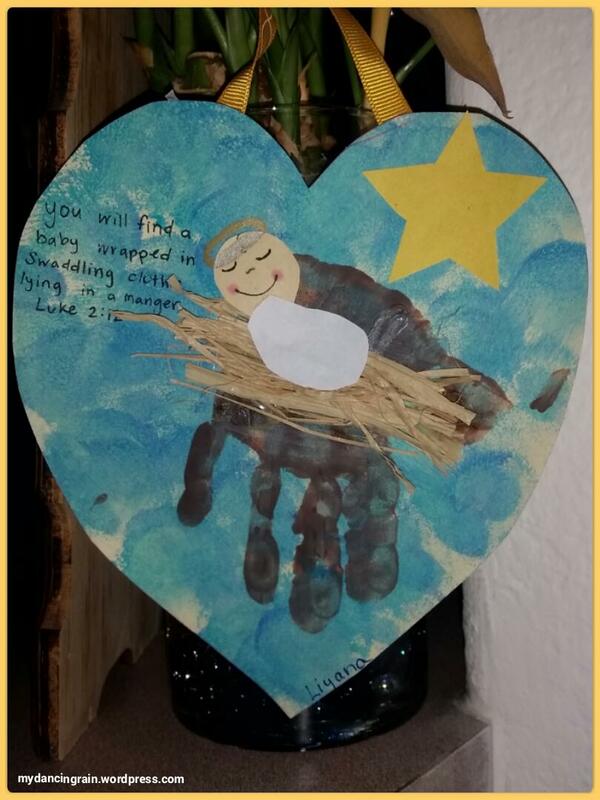 And they hung them from tree branches – a great touch. These DIY snowmen made such a cute display. They used plastic bottles and aluminum cans. I’m sure a small collection could be saved in no time at all. They painted them white and added the face with permanent marker. The plastic bottle snowmen got little snow hats made of fabric scraps while the can snowmen got ear muffs made of puff balls and pipe cleaners. A colorful, festive ribbon made a perfect scarf for the snowmen. So cute and a clever way to reuse empty cans and bottles. And it seems easy to do. 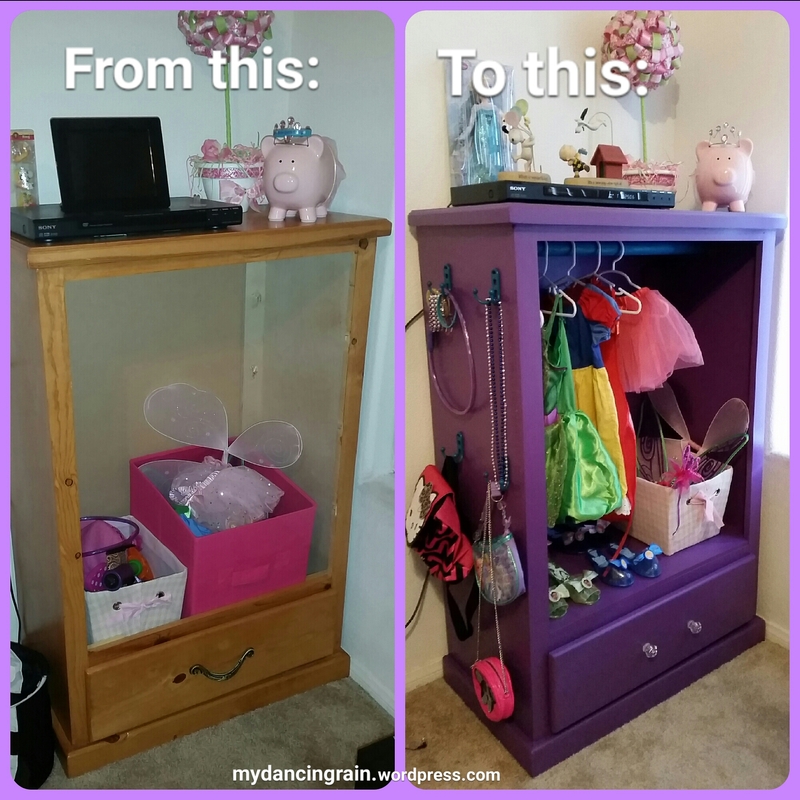 This craft is definitely on my list for next year when my kid is a little older!